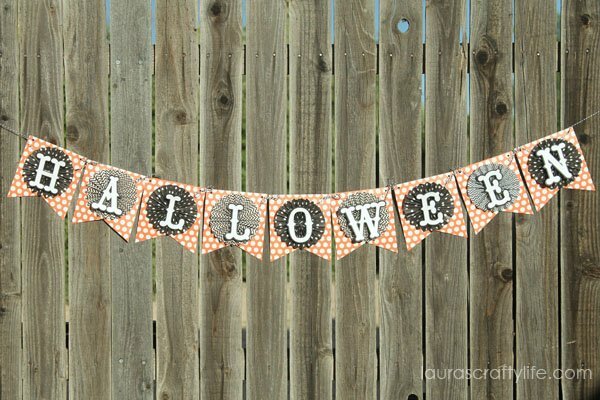 Today’s Halloween banner for my ‘12 Months of Banners‘ series might just be my favorite! 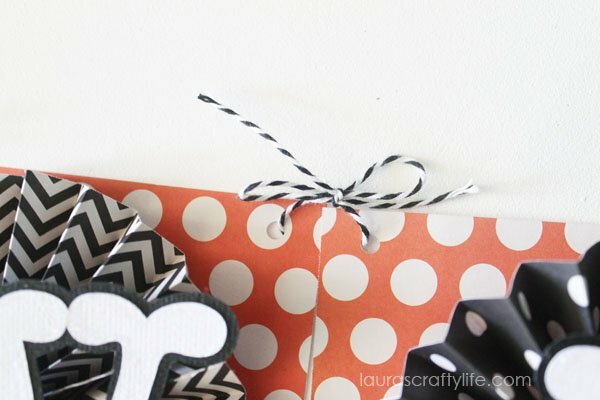 It combines black, white and orange to create a very festive banner for the month of October. It is hanging up on my bookshelf. At the end of the month we are having a big Halloween party and this will be perfect to add into my decor. To start any banner I always choose my papers first. 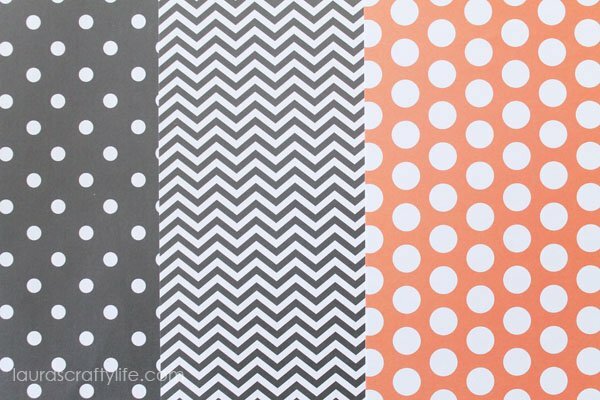 This time I chose patterned papers from the Best of Pebbles, Inc. paper pack. 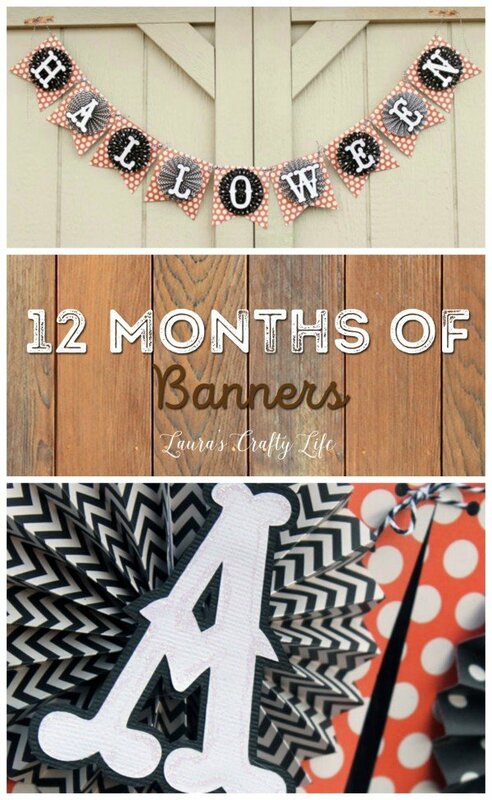 Start by cutting your banner pieces. 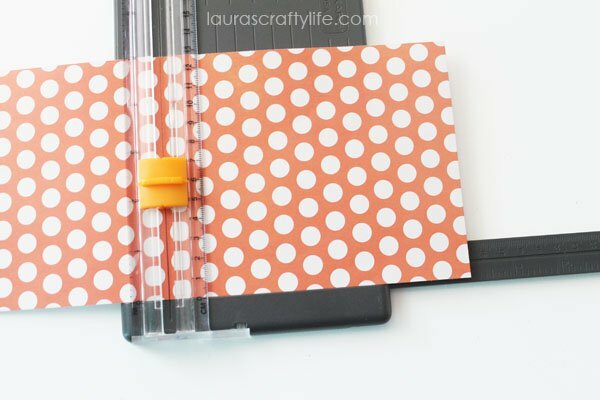 I cut each piece of orange polka dot paper to 5″ wide x 6″ long. 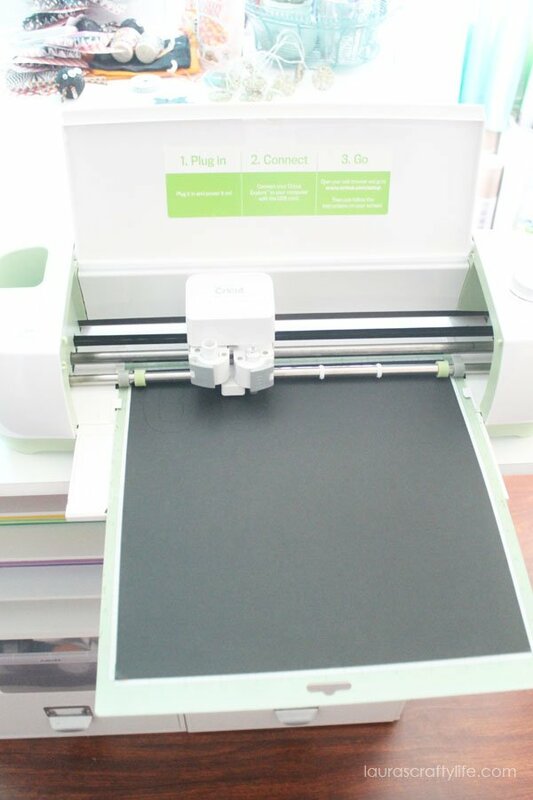 To create the flag shape, open the cutting arm on the punch board. Line up your paper on the vertical white lines. Close the cutting arm. 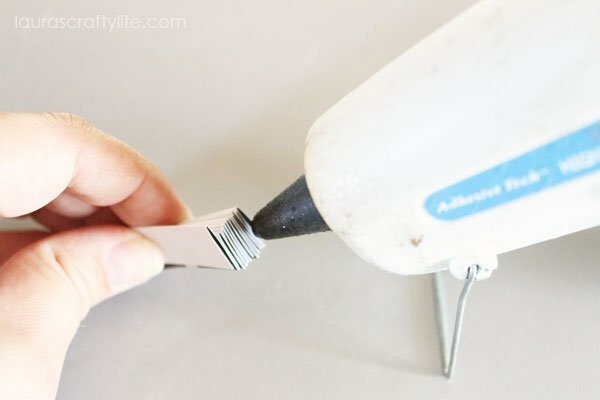 Use the blade to cut down from the left top edge. Then use the guide to cut from the right top edge. Cut a total of 9 flag shapes. 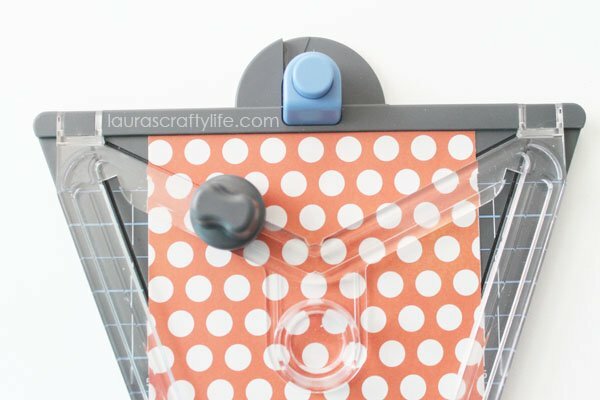 Using the top punch, align your corner and punch a hole. 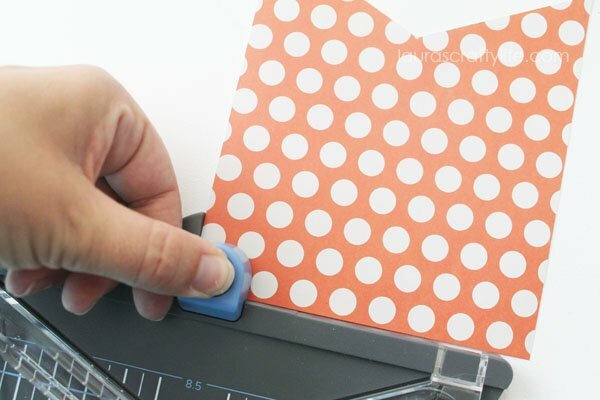 Flip the paper over and punch another hole. This will create the holes to thread your twine through. Now we will work on creating the nine accordion fold flowers. 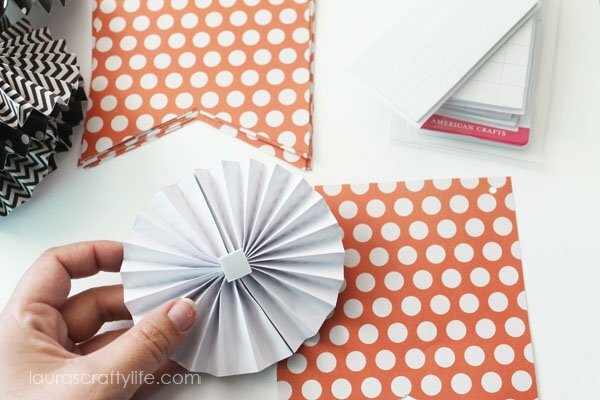 For each flower you need two strips of 12″ x 2″ papers. 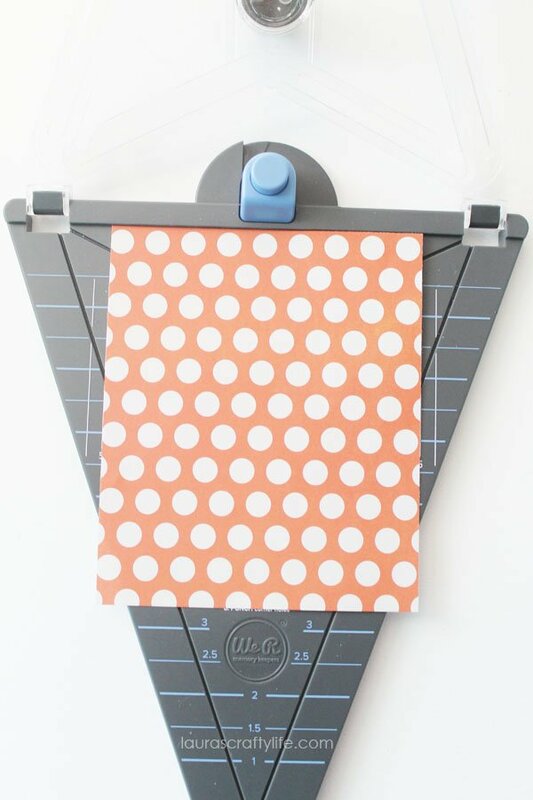 After you cut your strips of paper, you will need to score them every 1/2″. 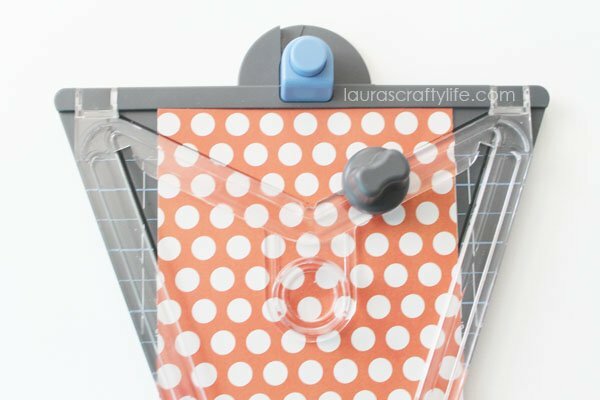 I have a paper score blade on my paper trimmer that makes this task really easy. 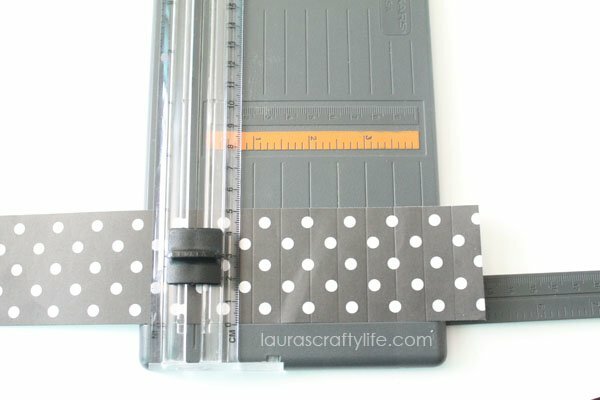 If you don’t have a paper trimmer that has a score blade, you can use a ruler and a bone folder instead. 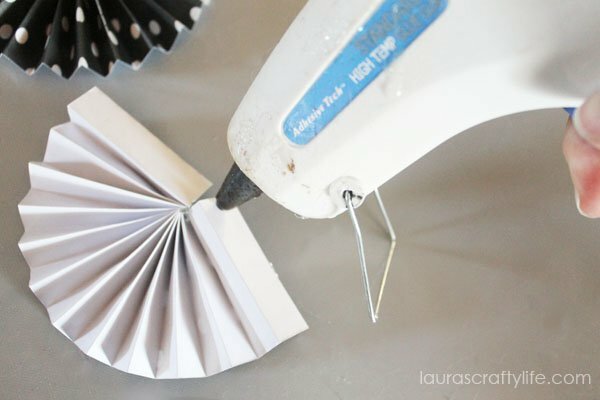 Use hot glue along the edge of the folded paper and fan your paper into a half circle. Hold it for about 10 seconds or so to allow the hot glue to set. 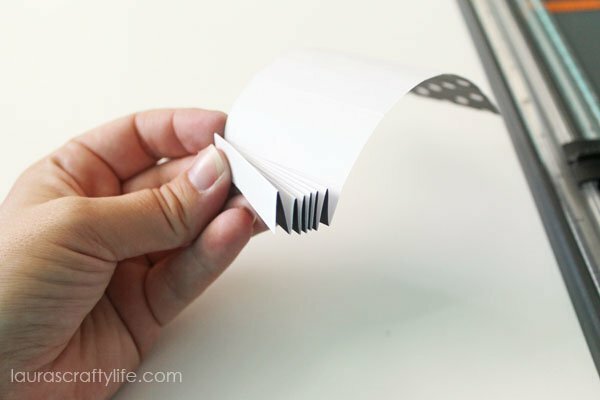 Repeat all these steps for your second strip of paper. 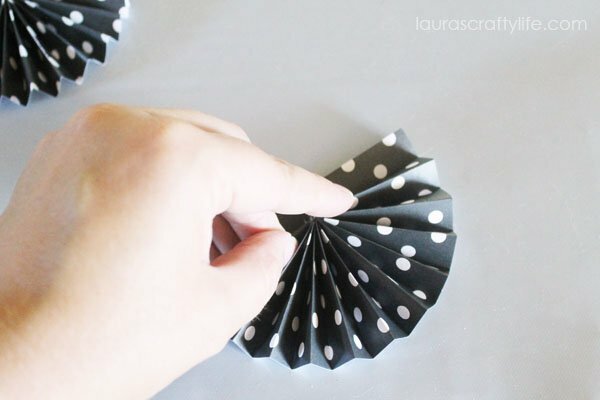 Along one of the edges of your accordion fold half circles, apply hot glue. Attach it to the the other half circle. Apply hot glue and attach the other loose edges, as well. 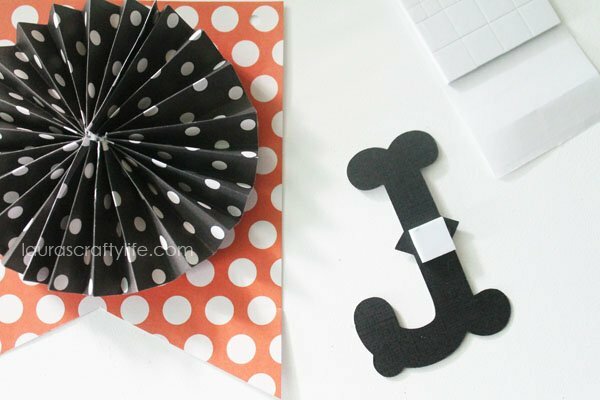 Attach the finished accordion flowers to the banner pieces with an adhesive foam square. 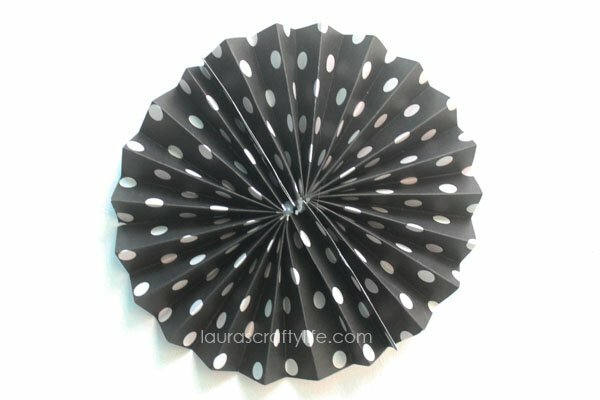 I alternated polka dots and chevron printed paper for my accordion fold flowers. 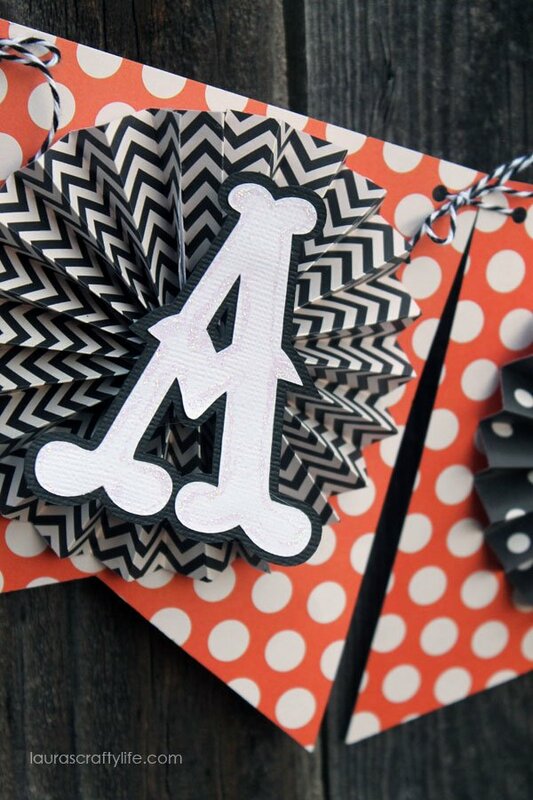 I cut out the letters, ‘HALLOWEEN’ on textured card stock using my Cricut Explore. I used the Country Life font to create white letters with a black shadow letter behind. I think the letters look a little like they are made of bones which was perfect for this banner. I glued the white letters to their corresponding black letter background. I then added a little glitter glue around the edges of the white letters to make them stand out more. I attached them to the banner with adhesive foam squares. 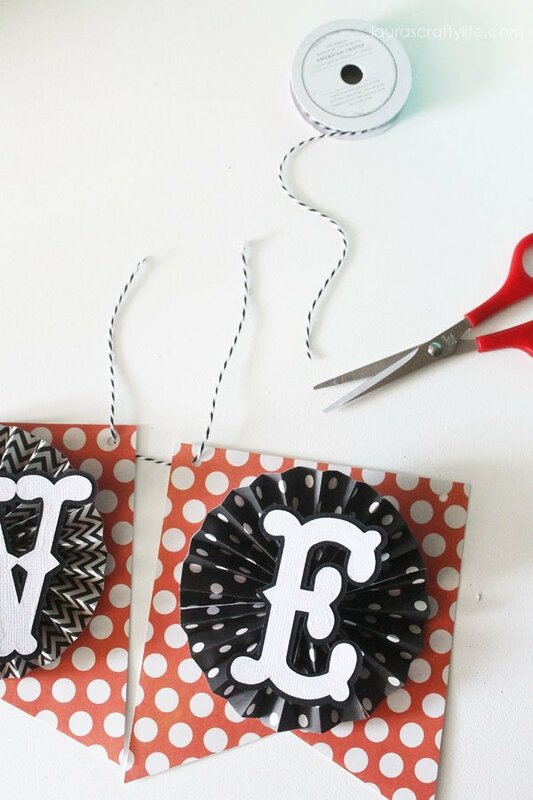 Now you will string your banner together with twine. Instead of threading a single piece of twine through the entire banner, I tied each banner piece to the piece next to it with a little twine bow. On each end of the banner I simply tied a piece of twine on with a knot. 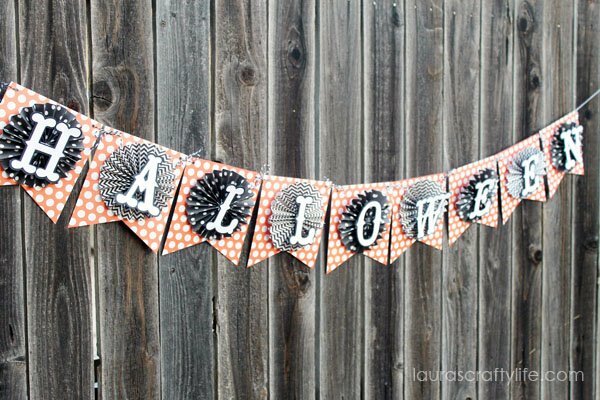 My October Halloween banner is now ready for all the tricks and treats this month! 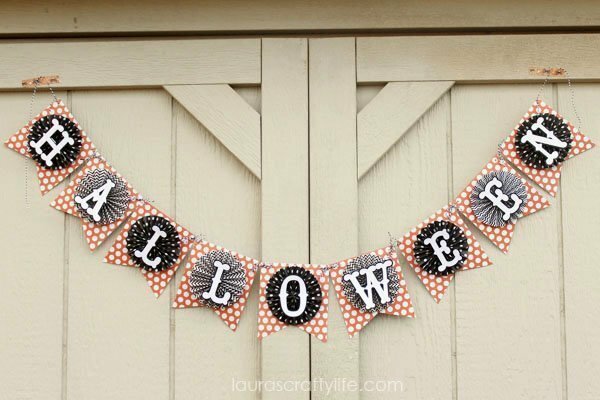 What font is the Halloween letters? I LOVE them and wanted to add “Happy” before when making this banner! I used the Cricut font, Country Life, in Design Space. Hope that helps!